VCPWA’s Hydrology Field staff have been hard at work with the increased rainfall. 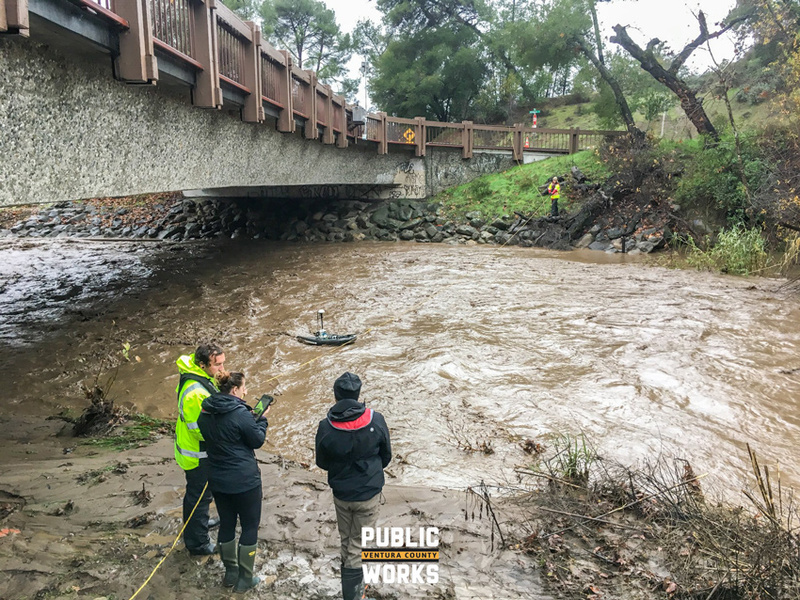 From monitoring rainfall and storm patterns to preparing residents with information and education, Ventura County Public Works Agency (VCPWA) was ready for the strong winter storms that hit Ventura County. The ability to ensure that our county was prepared with the resources and tools is just another example of how VCPWA is Leading Excellence in everything we do. In this year’s Executive Planning Session (EPS) meeting, we gave our department leaders the opportunity to learn more about VCPWA’s 2019 communication plan, “Lean Forward. Leading Excellence.” In addition, we shared how we are working to improve our processes and drive excellence in our departments and in the agency as a whole. We look forward to sharing and implementing the new communication strategies with each department as we progress through the year. In February, I had the distinct honor of bringing our VCPWA message to the public on FOX 11 News In-Depth with Hal Eisner. This was a great opportunity to inform the public of how important it is to be prepared for storms and flooding that will not only save their property but also the lives of those closest to them. Lastly, it’s that time of year for our VCPWA teams to gear up for Public Works Week. I encourage each of you to volunteer or mark your calendar to come out and visit this amazing effort to educate our youth on Public Works and the exciting career paths to consider. Please click the links below to learn more about Box Canyon and the other projects VCPWA teams are leading with excellence! In February, nearly 70 of Ventura County Public Works Agency’s (VCPWA) current and future leadership team members attended the Agency’s annual Executive Planning Session (EPS) with the goal of enhancing job effectiveness training in their main departments: Watershed Protection District, Engineering Services, Central Services, Transportation, and Water and Sanitation. The EPS meeting was led by Derrick Wilson, formerly of Water and Sanitation, now the new Strategic Operations Manager for the Central Services Department. Presenters from the Ventura County CEO’s office were Betsy Swanson-Hollinger, Staff Development and Training; Paul Stamper, Service Excellence team leader for Lean Six Sigma; and organizational expert, Steve Huber. Swanson-Hollinger led the Real Colors Leadership Workshop, a training session that identifies the color of your personality – Gold, Green, Blue, or Orange. Based on their results, participants learn their strengths and weaknesses in the workforce, and how to manage, lead and interact with other color types in the workplace. The workshop is designed to provide participants with the skills to understand human behavior, uncover motivators specific to each temperament, improve communication with others, and address common organizational topics such as stress, workplace issues, teams, and leadership. Highlights of the 2019 Communication Plan were presented by Consortium Media, which helps to focus VCPWA’s outreach and education for all their projects, ongoing maintenance, emergency outreach and public information. Consortium also presented social media techniques for ensuring the Agency’s more than 9,000 Facebook fans stay up-to-date on road closures, events, local stories and projects happening in Ventura County. 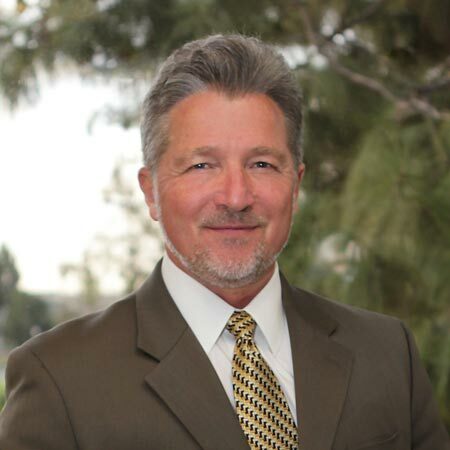 VCPWA is proud to be working to set the leadership tone for increasing cost efficiencies while providing a standard of public works excellence in the state of California. 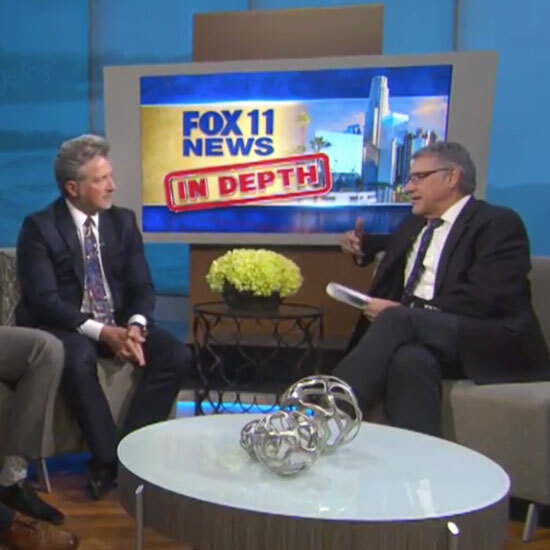 VCPWA Director Jeff Pratt joined FOX 11 News In Depth with Hal Eisner along with Shannon Wider, strategic public information officer for Orange County, and Dan Lafferty, deputy director for LA County Public Works, to talk about how our Southern California counties are preparing and responding to the recent storm season. Pratt discussed VCPWA’s preparation for incoming storms and the continuous monitoring of local water channels and debris flows by geologists and hydrologists in the field. In addition, Pratt discussed the two types of emergencies related to the recent rainfalls that the public should be aware of; the first being the unpredictable mud and debris flow, and the second is the more trackable channels that can fill up and can cause flooding. Watch the interview and learn how VCPWA is at the ready here. When a natural disaster hits such as a fire or a flood, preparation is always key to the survival of life and property and it’s never too early to start preparing. The Ventura County Public Works Agency (VCPWA) uses this site to monitor current rainfall totals for Ventura County and nearby counties. The site updates data every 5 minutes and is a useful tool to not only the general public but outside agencies. During the recent storms, many agencies including Twitter by the National Weather Service (NWS) Los Angeles, VC Clean Watershed, Ventura County Fire, Ventura County Sheriff and VCPWA shared the rainfall map link to the public to keep up with the latest information. During the next rainstorms, keep an eye out on VCPWA’s Facebook for the link and check it out! The big Public Works Week event at the Government Center parking lot is upon us! All of our departments are hard at work preparing their booths and topics for the public and our local youth. 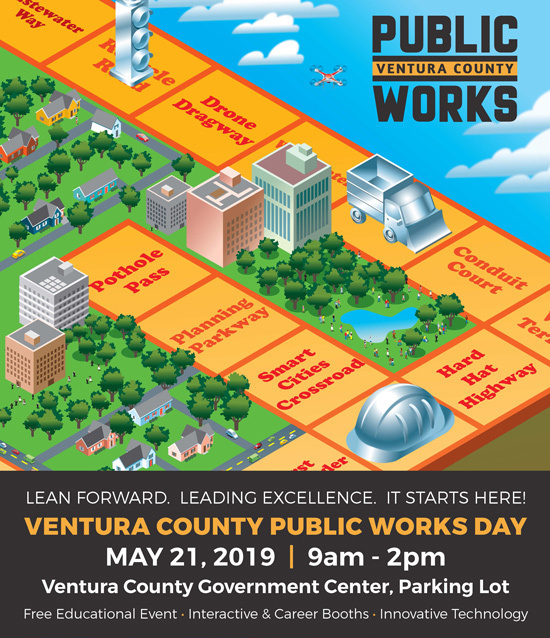 The Ventura County Public Works Agency (VCPWA), along with its event partners, are planning an even more experiential day for the general public and local students! From an enhanced career information center, to larger displays, this special event is designed for all grade levels to learn about the planning, building, managing and the latest innovations going on in the heart of their community. We have revamped the event into thematic “zoned stations” to enhance the hands-on learning experiences. For older high school students, the zones on science, innovations in safety, reduce/reuse/composting, heavy equipment displays, and demonstrations will surely engage and excite while also provide information for potential career options for the students’ futures. We’ll be looking for volunteers to help us lead students through guided tours and team members to participate in exciting department educational booths. Be sure and sign up today by emailing Kristina Colton at Kristina.Colton@ventura.org. 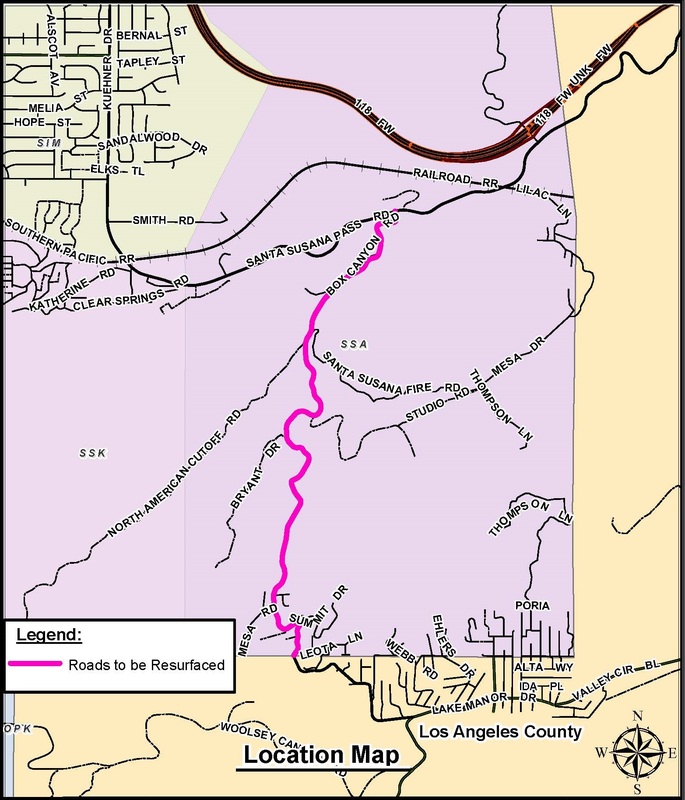 Beginning in March 2019, VCPWA’s Transportation Department is conducting a project to repair and resurface Box Canyon road that will span from the Santa Susana Pass Road intersection to the Ventura/Los Angeles County line. In addition, VCPWA included in the project improvements to drainage and erosion control along the two-mile length of road. Improvements to Box Canyon Road will include new drainage inlet construction, swale improvements, 6’’base repair, roadway cold milling, and new AC berms. After completion, the full width of the road will be resurfaced, which will include a layer of 2’’ asphalt rubber hot mix (ARHM) on top of a layer of rubberized chip seal. When all of this is complete, the new surface will be striped. VCPWA teams are working to enhance the road with resurfacing and other site improvements while minimizing inconvenience to the traveling public. During the full closures, residents will have access to and from their home every 3 hours, for 20 minutes. These access time periods will take place at 2 a.m., 5 a.m., 8 a.m., 11 a.m., 2 p.m., 5 p.m., 8 p.m. and 11 p.m. Flagmen will be located at each end of the road closure to limit traffic to local land-locked residents during these access times. This project is another example of how VCPWA works together to “Lean Forward. Lead Excellence.” to keep our citizens safer. VCPWA’s Hydrology Field staff have been hard at work with the increased rainfall. Tommy Liddell, Water Resource Specialist III; Casey Lanier, Water Resource Specialist II; and Kellie Fortner, Water Resource Specialist I, worked with volunteer students from California State University Northridge to monitor and take discharge measurements at San Antonio Creek. The team deployed remote control hydro boards to capture data from the flooded waterways.